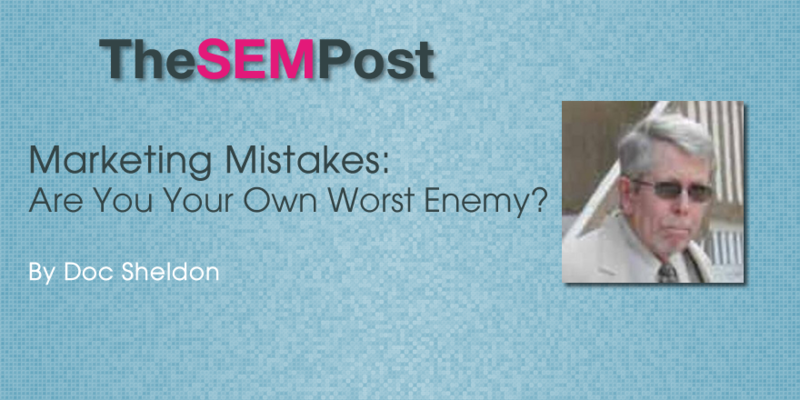 You are here: Home / Branding / Are You Your Own Worst Enemy With Marketing? How Wrong Can you Get it? This is wrong on so many levels! First, let’s get out of the way the implication of the wording. One would think that even if there are still plenty of misogynists out there that insist that a woman’s worth is based primarily (if not exclusively) upon her appearance, at least a women’s magazine would show more awareness. Apparently, not this women’s magazine. But most of us are marketers, not feminists, so let’s skip over the non-PC, 19th century faux pas and get down to the marketing nitty-gritty. Sadly, Elle is just as socially blind out of that eye. With the exception of the most obtuse, most people have recognized that there are some annoying and counterproductive 1990s-style practices that should be avoided. Auto-play music and videos and flashing gifs, for instance. Pop-up ads, too. They aggravate nearly everyone and chase off many more users than they capture. Yet they’re still utilized, even by businesses that can be reasonably expected to know better. When I saw the above tweet, I navigated to Elle’s website and searched for the article in question. Then I returned to Twitter and dropped a couple of comments of my own. After a couple of minutes, while checking my email, I was suddenly blasted by a full volume ad. Elle’s page was the only tab I had open that seemed like a possible source, but I couldn’t locate a player anywhere on their page. So I just closed the tab, and lo and behold, the ad fell silent. I returned and searched for the player again, but with no luck. But like the original tweeter, I didn’t bother to read the article. I would have been interested, had they not managed to piss me off. Nothing like poisoning your own well, Elle. I get that Elle’s focus is on fashion and beauty. And believe me, I’m all for helping anyone that wants to alter their appearance or presentation do so – provided it’s their idea. That doesn’t extend to insulting their looks or their intelligence, however. Promoting elegance or beauty is one thing – denigrating those readers that don’t choose to fall for your 1990s marketing ploy is something else. In fact, I’d be inclined to say that if you have readers intelligent enough to not appreciate such a deprecated tactic, you should be grateful and go out of your way to preserve them. 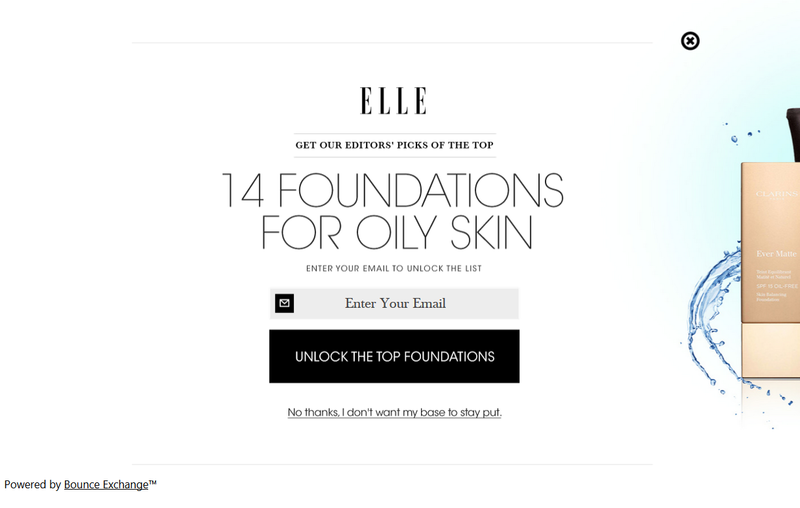 This isn’t intended, however, to just single out Elle for crappy marketing tactics – they aren’t alone. A lot of sites are employing tactics that are outdated (if they were ever effective). And insulting or belittling users isn’t the only way to insult their intelligence. Do you remember what the last banner ad you saw was advertising? Do you even remember the last time you saw a banner ad? Odds are you can’t, because you’ve seen so many of them that you’ve stopped actually seeing them. That’s banner blindness. As marketers, we probably notice them more than the average user, even though we’re inundated with them. But we’re not the target. The same holds true with virtually any sort of ad. The more often we’re subjected to it, the less receptive we are to its message. And if it can no longer get our attention, it certainly won’t do its job. If you’re selling ad space on your site, maybe you aren’t worried about whether the ad works or not. You should be… a savvy advertiser will soon find which ads aren’t working and cancel them. I’ve known some people that get a lot less annoyed than I when someone interrupts them in the middle of a sentence. But I have yet to meet anyone that enjoyed it. Whether speaking, reading or simply engrossed in thought, nobody appreciates being interrupted. I’d say that having a popup block the screen when you’re trying to read an article would qualify as an interruption. Here, you’re not only rendering your advertiser’s placement less effective, you’re alienating your own users, as well. Not all users are novices, enjoying their first foray into the wonders of the Internet. Many of them are as comfortable online as off and have been online for a decade or more. When such a user is assaulted by ads that were already outdated the first time they ventured online, it’s understandable if they feel their intelligence is insulted. That’s certainly not the best way to nurture a relationship with a user. Is that the message you want to send your visitors? Whether you’re placing ads or CTAs for your own purposes or for paying advertisers, you need to consider the perceptions of your users. Are you making their visit more pleasant, more productive, easier? Are you considering how they might receive the wording of your ads? I don’t mean you should tip-toe around… but at least consider the possible consequences. Because whether you do or not, you’ll still have to live with them – make sure it’s by choice. Catchy phrase but it’s a myth for the most part. You think banner blindness is a myth, MamboMan? I’m curious what you base that opinion on.